Restore and protect your tires! Gyeon Tire will restore and protect your tires with one easy to use formula! After you polish your paint and protect it with a coating, the deep, glossy, clarity of the paint is really a thing of beauty. This finish makes your vehicle stand out, but if you have ugly dull tires next to this paint, it just takes away from the overall luster of the vehicle. Gyeon set out to take that same feeling we get when looking at our paint and putting it into a product for your tires. Gyeon Tire, is a SIO2 coating that leaves behind a great deal of protection and gloss, along with restoring your tire back to its natural deep matte luster. 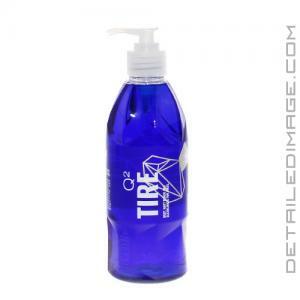 Do not confuse this product with a typical tire dressing, Gyeon Gyeon Tire is a coating through and through. It lasts months, not weeks like other dressings and the ability to repel water from the surface of the rubber it simply put, outstanding. This beading is only rivaled by the coating on your paint and it helps keep your tire cleaner for much longer. This is incredibly valuable as tires are the only part of the vehicle touching the ground, meaning that they are coming into contact with dirt, grime, UV rays, and other tough contamination. When you wash your tires, you will find that most contamination will roll off the surface, saving you valuable detailing time and effort. What are you left with you ask, just think of a deep, dark, matte looking tire with a durable layer of protection to boot. Allow your tires to stand out from the crowd with Gyeon Tire! Deep, Matt Black & Cleanliness for Tires. Apply good exterior APC on the tire and brush it. Let the tire fully dry before application. Spray on a foam or microfiber applicator and wipe it into the surface. Let it dry and soak in the surface. For a deep matt effect wipe after 15 minutes with a microfiber cloth. To increase durability heat up the surface with a hairdryer. I love the shine. After applying, I used a heat gun to dry it. The tires looked great but the shine did not last for long. 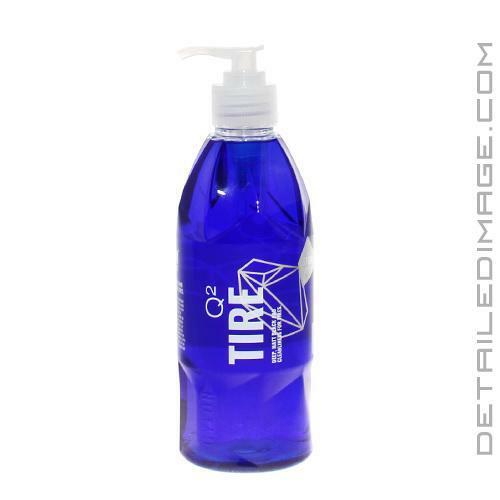 I'm always looking to try new things on my car from quality companies and Gyeon is in the upper crust of that realm! I have 5 other tire dressings/coatings in my collection and this is becoming a favorite! This is the only Sio2 based tire dressing and it ha many features going for it. First up is looks and this can be subjective but hear me out. A little goes a long way, so know this up front. When applied initially the tire is pretty glossy but can be tone down with a simple dry wipe from a designated towel. After 15 minutes the product is dry and doesn't sling, remember, a little goes a long way, so THIN IS IN! Durability is outstanding and some will like the satin finish after washing their car and tires with it on there, so if your patient you'll achieve the look you want, in time. I'm at about 3 weeks right now and haven't looked back. Gyeon is marching to the top with their product line and this Gyeon Q2 Tire is one of the reasons why. In closing, don't let the price scare you because it spreads easy and besides, quality doesn't cost...it pays! Not a bad product. Shine last about 5-7 days and basically no shine after a drive in the rain but that is what I expected. I did have some sling the first time I used it but I applied it to heavy. A little goes a long way and try to avoid the tire tread to avoid sling. I would definitely buy again.